2005 FORD RANGER EXT CAB XL 107K Miles........ONE OWNER......... No Outstanding Recalls..........3.0 Liter V-6 !!!!!!!!!!!!!!!!!!!!........AUTOMATIC...... This Ranger Looks Sharp, Runs Perfect, Comes With, Auto. Trans. 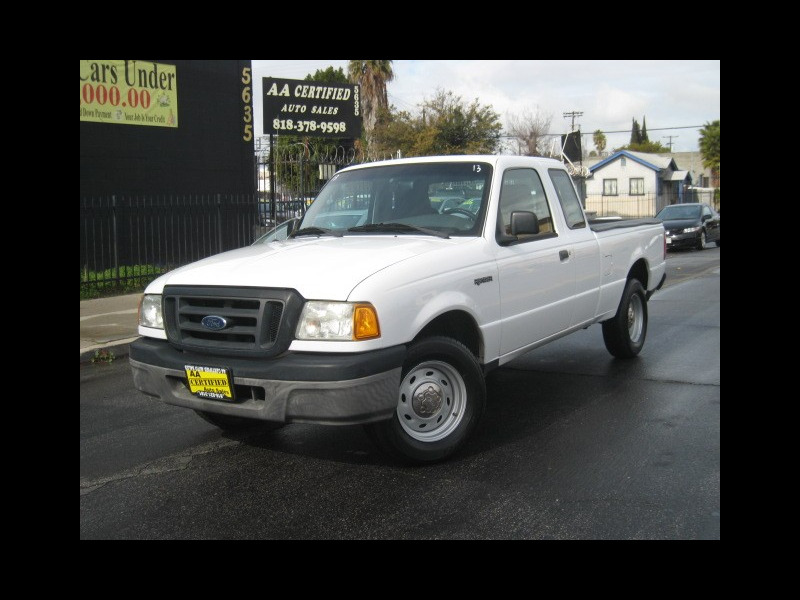 A/C, Air Bags, ABS, Bed Liner And More, Great Truck For Work Or Daily Use.........!!!!!!!!!!!!!!!! Call Us Now to Schedule a Test Drive (818) 821-3181 OR Come See Us In Person at 5635 Tujunga Ave. North Hollywood CA. 91601...............Vehicle History Available ........ Financing available..........................WE HAVE MORE LOW MILEAGE AFFORDABLE VEHICLES IN STOCK FOR YOU TO CHOOSE FROM. Visit AA Certified Auto Sales online at www.aacertifiedautosales.com to see more pictures and a copy of Car Fax report for this vehicle or call us at 818-821-3181 today to schedule your test drive.